We install a wide range of rainwater systems as we appreciate that it is important to select on appropriate to your property style. 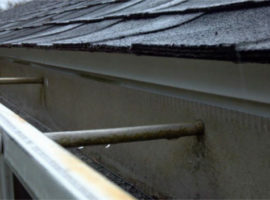 The most popular product we install is Terrain Premium Crescent (half round) gutters. Terrain is the market leader when it comes to Product quality, looks and reliability. We do supply and fit other styles on request. We also specialize in the installation of cast iron and aluminium rainwater systems. For your free, no obligation quote please call us on 020 8644 0130 and we will be more than happy to answer any questions you may have.